Sustainability lies at the heart of Birchwood Park and its core values, so offering electric vehicle (EV) charging services was high on their agenda. 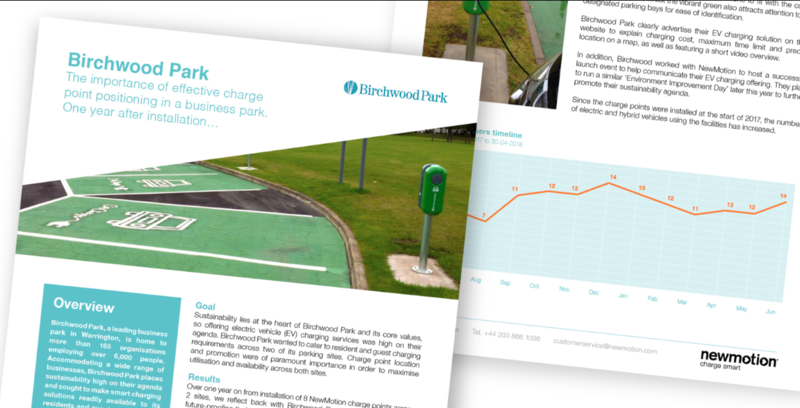 Birchwood Park wanted to cater to resident and guest charging requirements across two of its parking sites. Read more about how NewMotion helped to make smart charging solutions readily available at Birchwood Park.